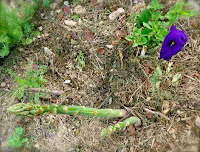 permaculture in brittany: Asparagus tips. 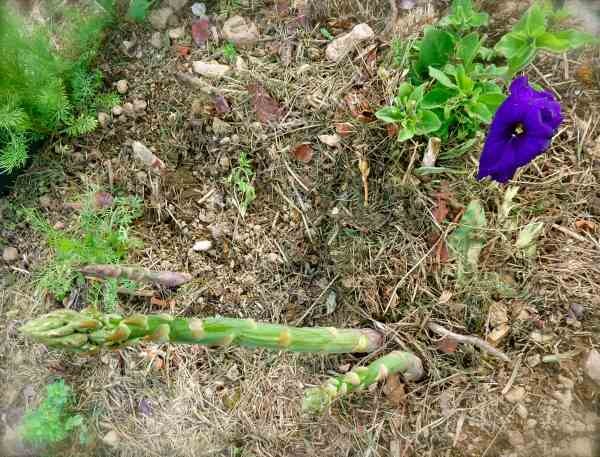 While it is true that our now well established asparagus bed is a true herald of spring and lovely thoughts accompany the arrival of this royal vegetable I have also, this season, been experiencing more murderous musings. 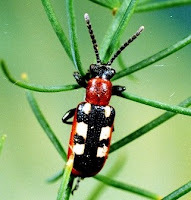 The reason is the arrival of the main enemy of a good healthy crop, the aptly named asparagus beetle. I first came face to face with this troublemaker a couple of days ago when I saw one climbing on a fresh spear and, as I didn’t exactly know what it was, I just shooed it away instead of squishing it. It didn’t take long to get a positive ID on asparagus beetle, as it’s small but quite distinctive with a black and white spots on its back and a red under body. Now I knew what I was dealing with, my next task was to try some way of ridding myself of this pesky critter. As with many infestations, actually picking the buggers off and despatching them is a really very effective method but this isn’t always possible or desirable so I also wanted to find an organic spray I could make myself. I was delighted when I found this recipe for marigold spray, which claims to repel the beetle . I’ve already got lots of marigolds coming up like weeds in the garden so it was the perfect choice. 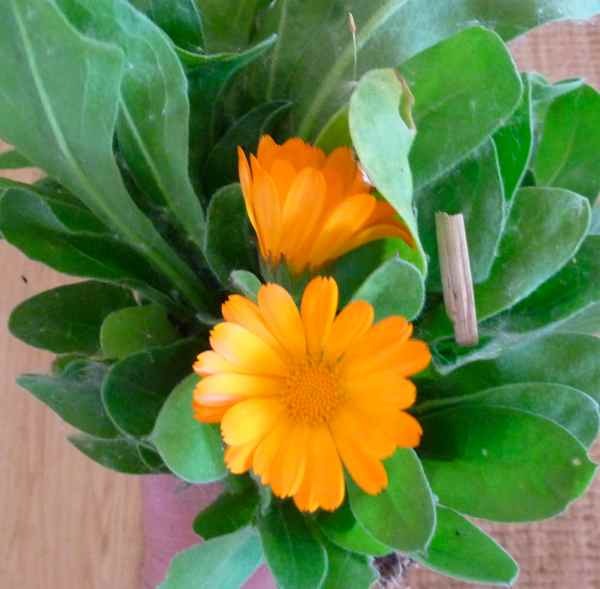 Marigolds (calendula officianalis) are a bit of a wonder plant. They attract beneficial insects and pollinators and repel baddies in garden, the petals are edible in salads and cakes and an oil infusion is the basis of a healing and soothing lotion or balm. Basically no garden should be with out a few as they are so easy to grow and go on and on all summer. The cheery colour of their orange petals really does gladden the heart and now I was learning that they were going to help me in my battle against this bad beetle as well. Result. I made up the mixture over night and the next evening sprayed it on the asparagus. It didn’t totally repel them that first day but it lessened the infestation considerably. I repeated the spray treatment the following morning and evening and this morning there were none on the asparagus at all. I am really happy with the results and am planning to make up some more but I am also killing on sight and taking no prisoners. Another unexpected ally is the petunia flower much beloved of the urban window box. I’ve never been a lover of this most popular of bedding plants and I generally speaking find annuals of this kind blousy and fussy and a waste of money. But it turns out that it’s also a bit of a wonder in the lexicon of companion planting (scroll down to petunia) and particularly good against asparagus beetles. I have planted and sprayed, surveyed and squished and I seem to be winning! I really want to make that bread. 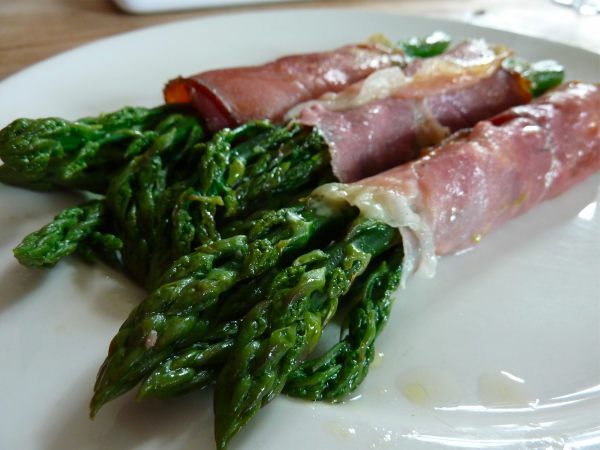 Sun-dried tomatoes are a little out of my price range right now, but I can pick up asparagus for £1 a bunch from the market on Berwick st now it is in season. 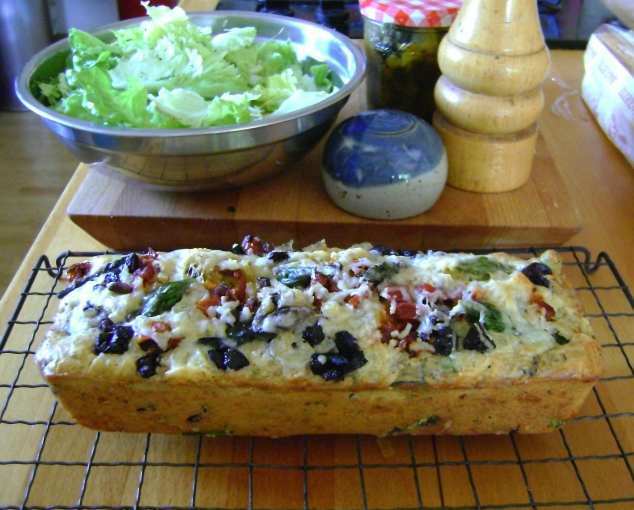 It looks great - I am going to a picnic next weekend so I might give it a go! That's a great tip about the marigold spray. I do plant marigolds in the poly-tunnel to keep white fly at bay. There are some other good organic sprays on the link that you put up. I will have to add that to my blog.